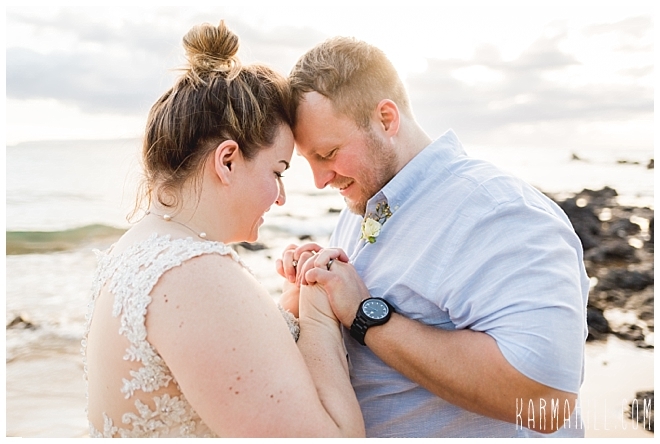 You could look, but we doubt you would find a couple more in love than Emma and Matthew. 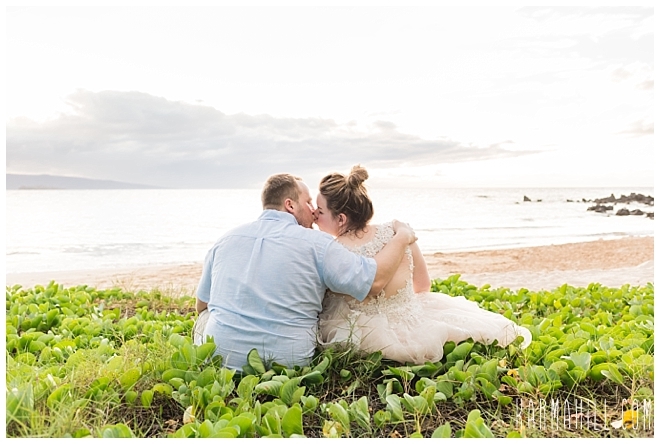 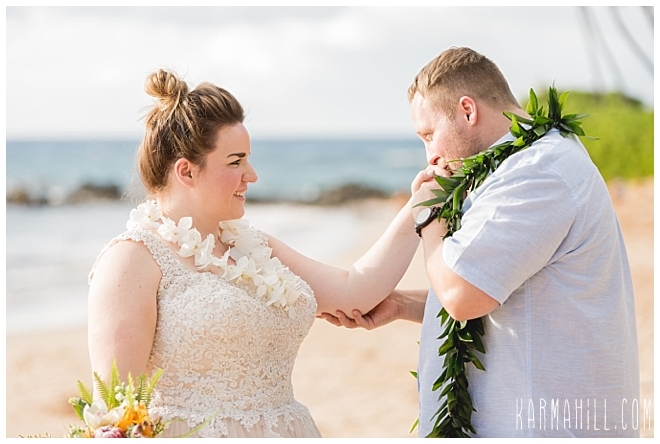 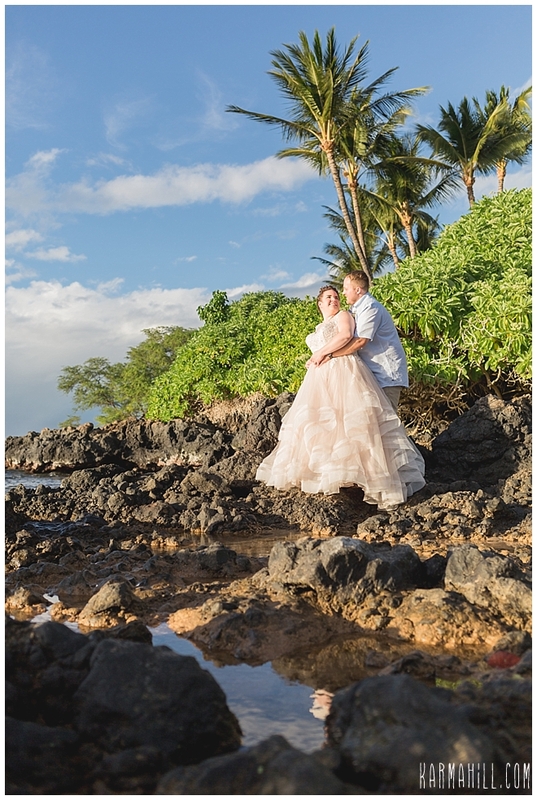 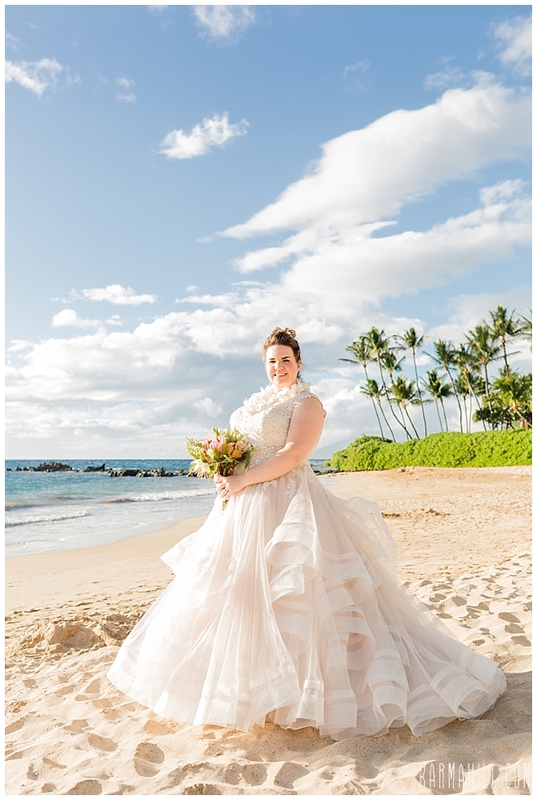 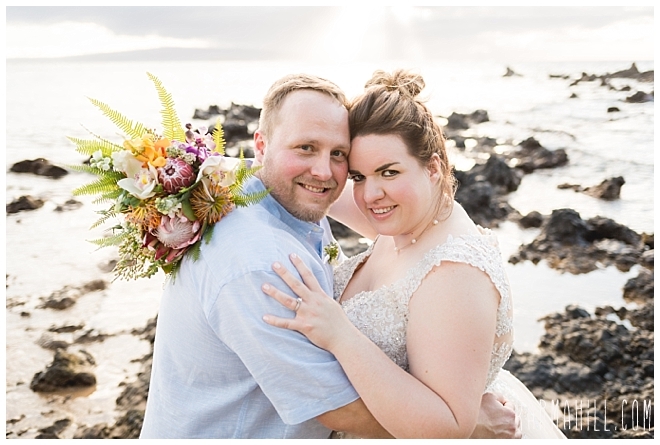 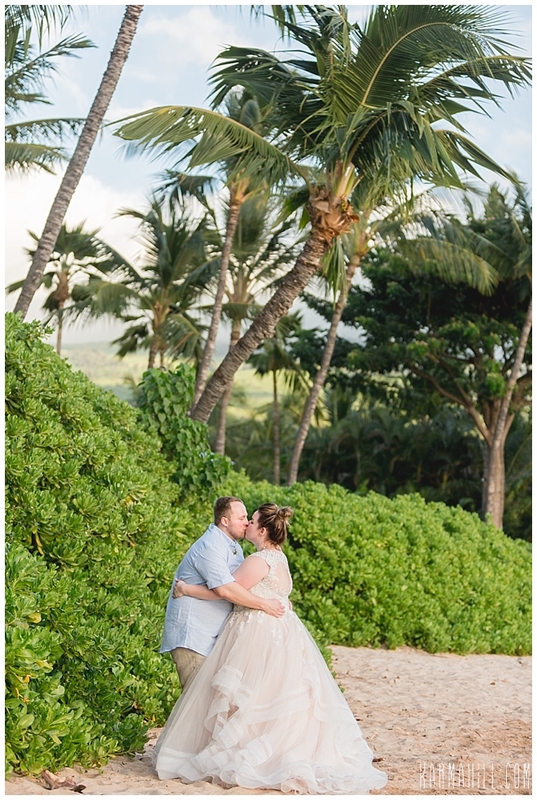 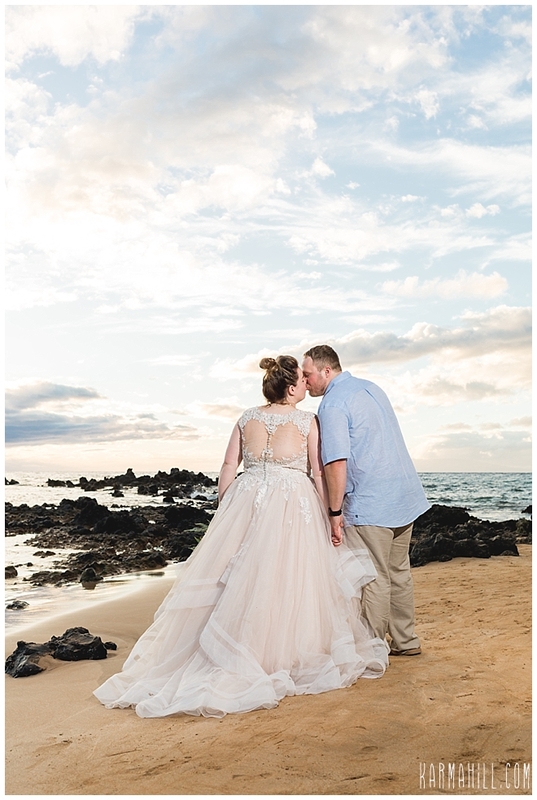 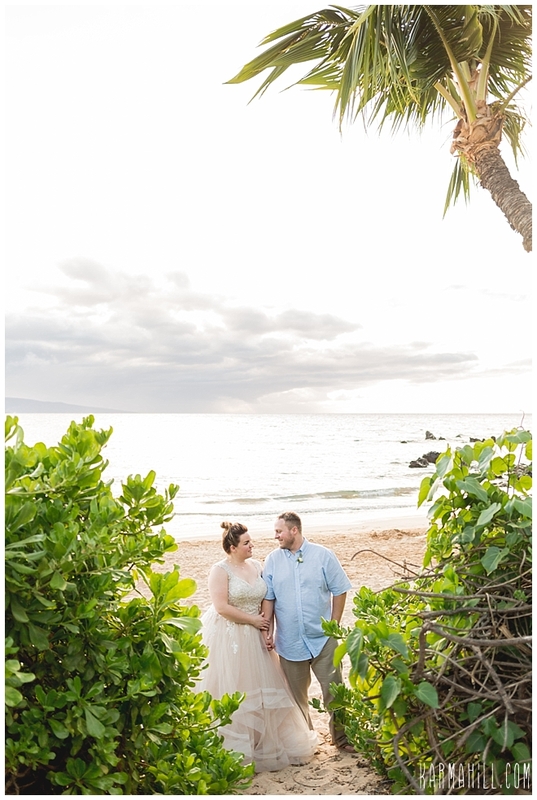 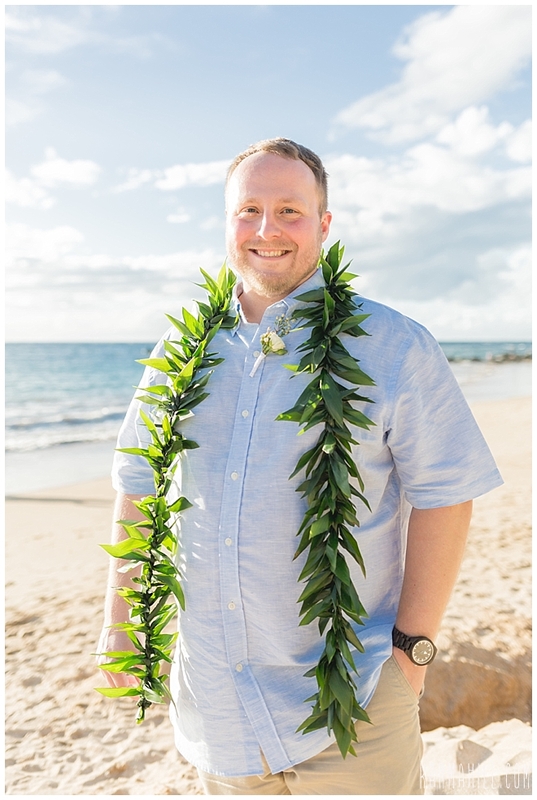 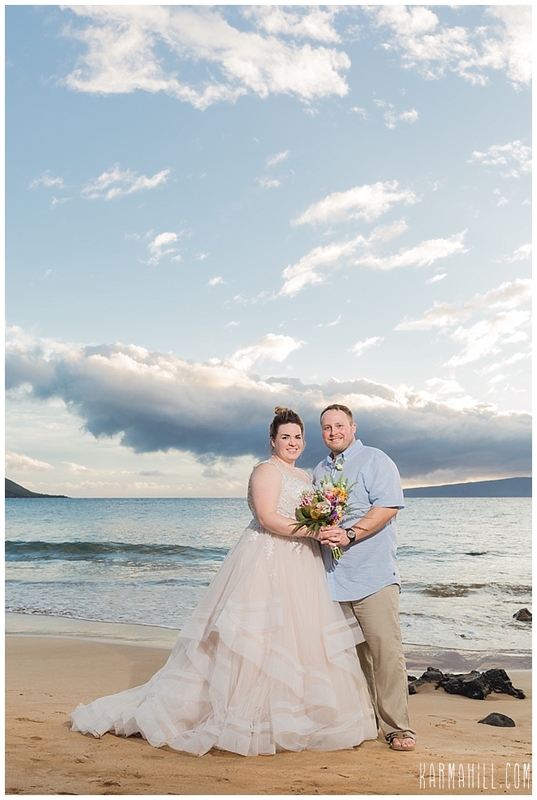 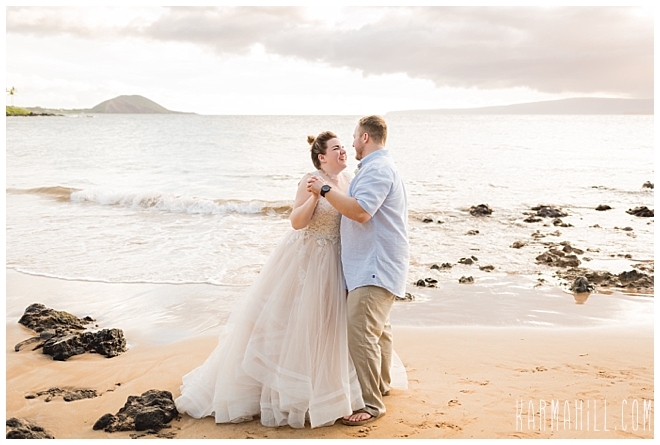 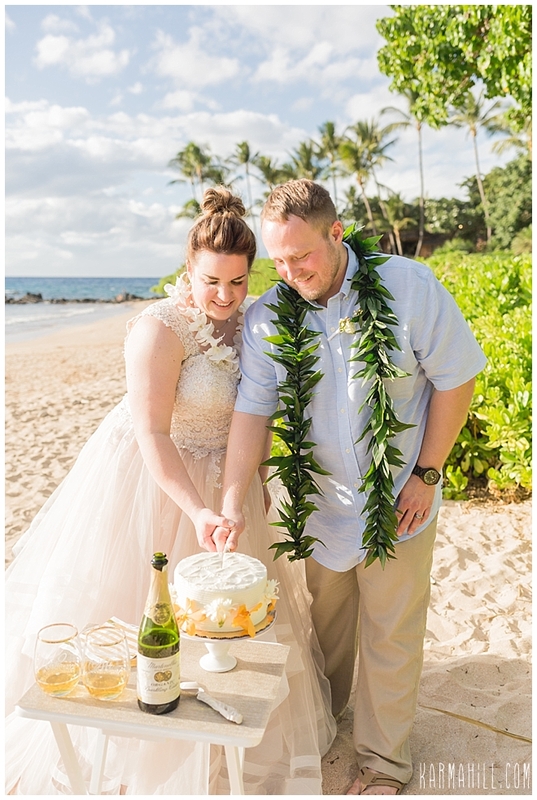 Seeking a private and intimate setting, a Maui Elopement was perfect for them. 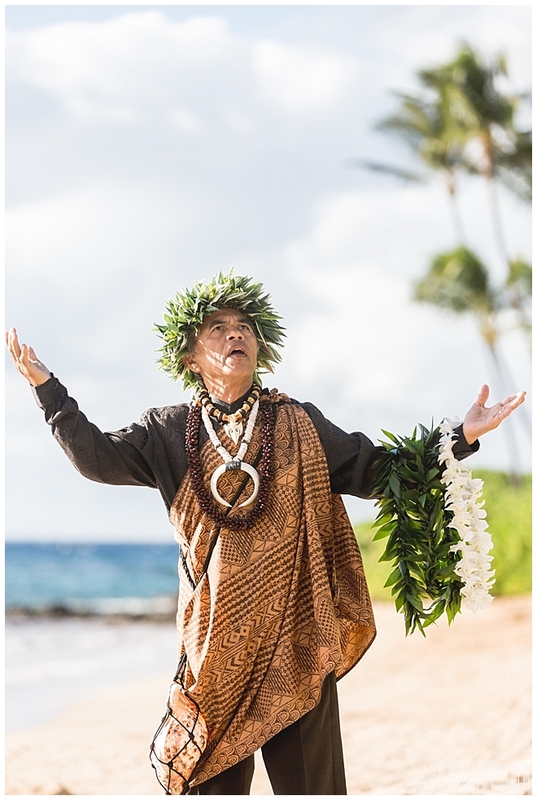 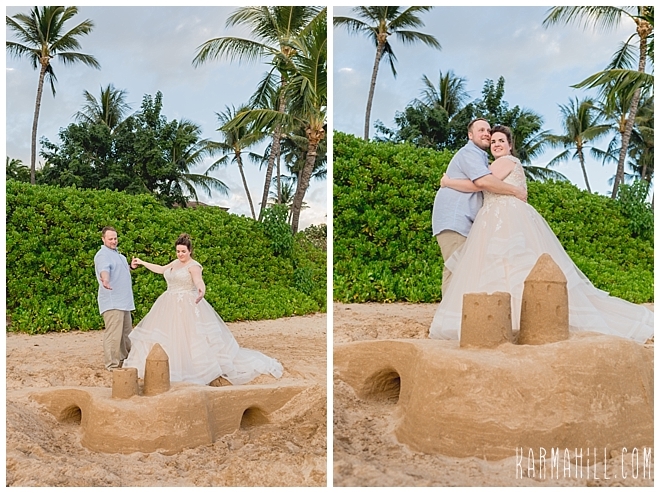 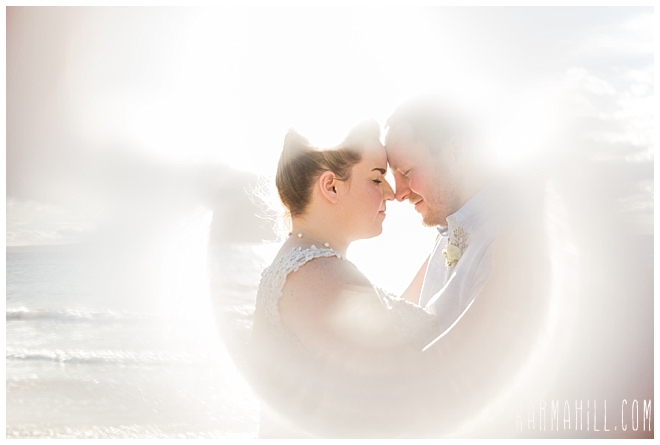 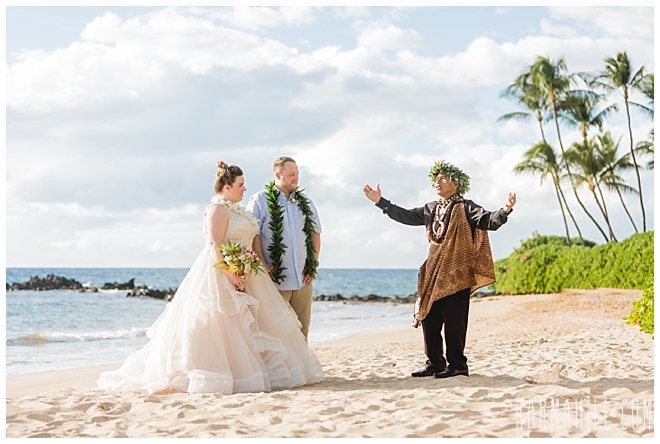 Wanting to give his beautiful bride her dream come true, this dashing groom even played a role in finding and claiming the quietest part of the beach to ensure their own private little world for this incredibly special moment in their lives. 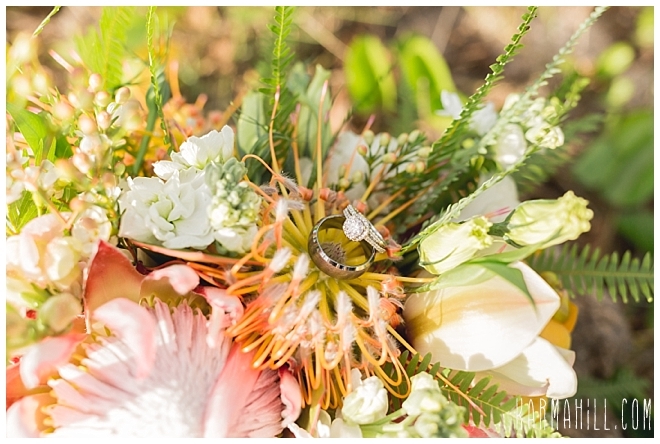 Beaming with pride, Emma carried a bouquet adorned with a pendant borrowed from her mom. 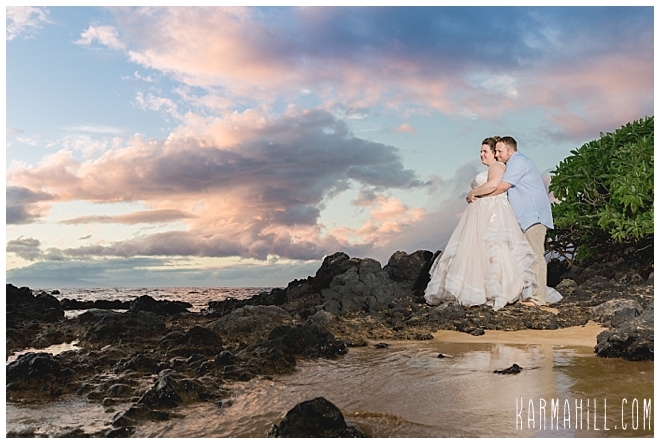 Adding to the natural wonder of the night, the adorable Minnesota pair even encountered a sea turtle hanging out in the lava rocks near where their couple's photos were taking place. 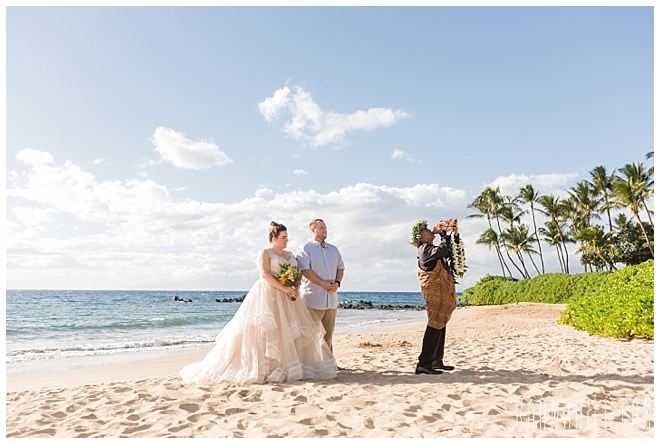 This was genuinely significant because turtles are an important symbol to Emma and her mom, representing the need to slow down, take a breath, and relax. 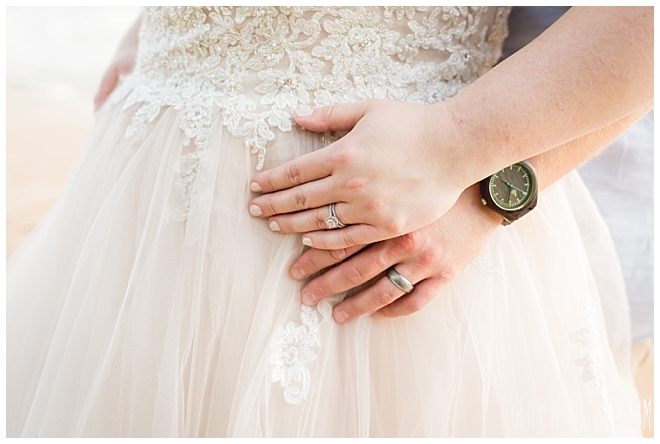 A lovely reminder on an important day. 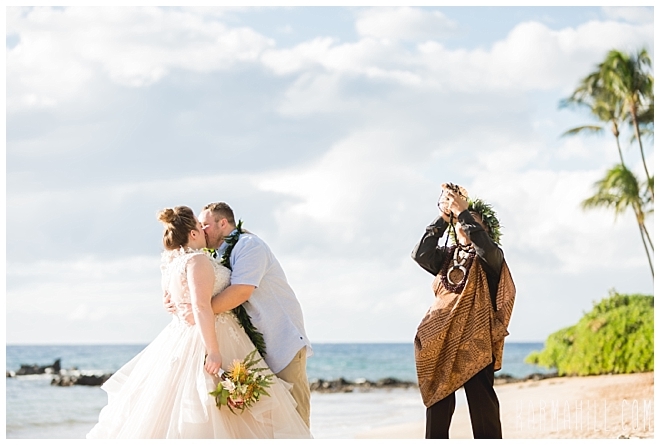 Stealing kisses in between photos, Emma and Matthew needed no prompting to look in love as it was radiating all around them. 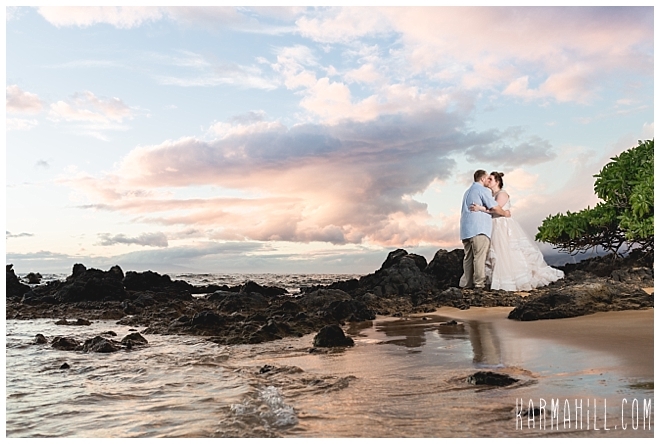 Blessed with a stunning night, they were treated to the best the island has to offer, and we are so glad they got it. 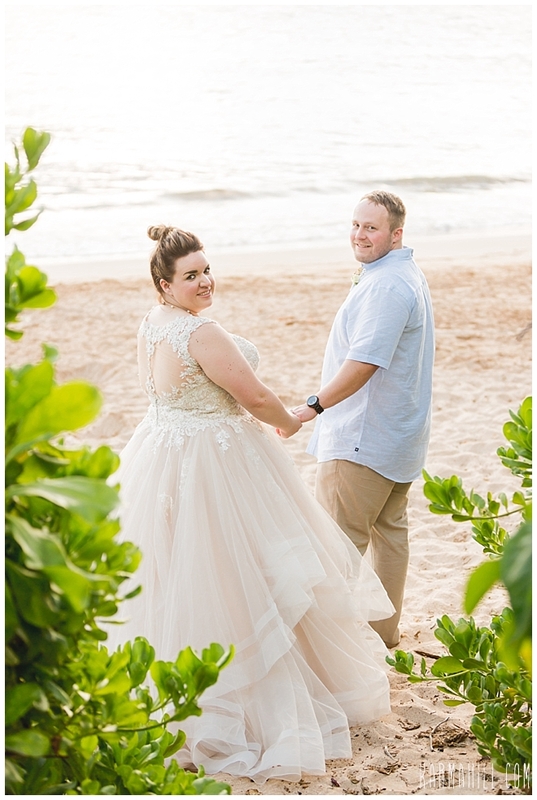 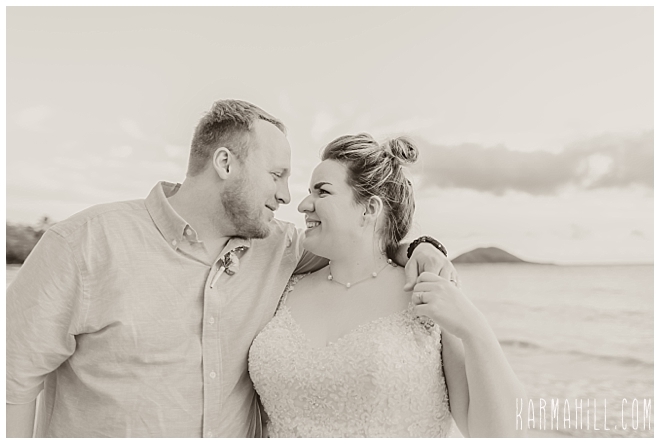 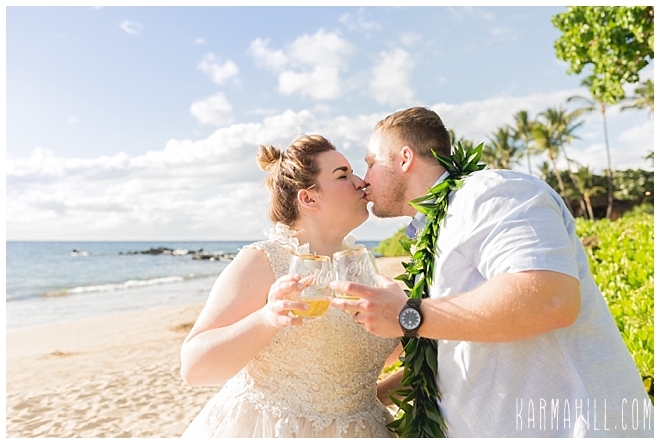 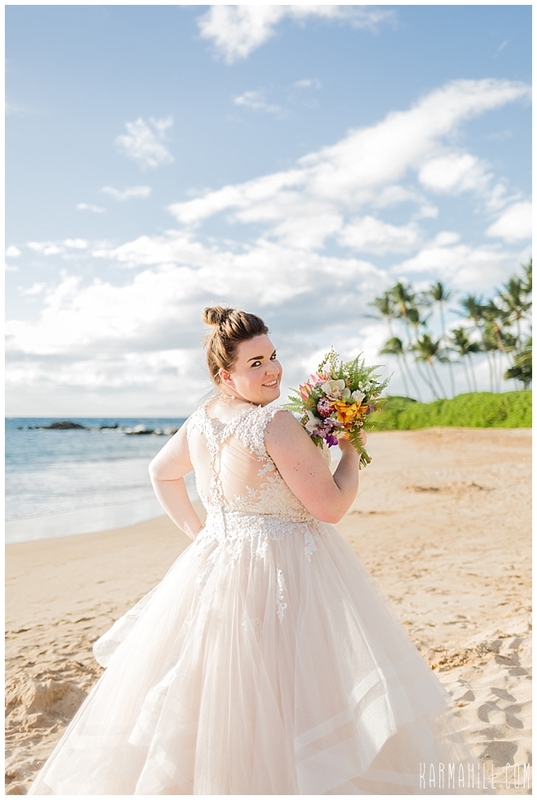 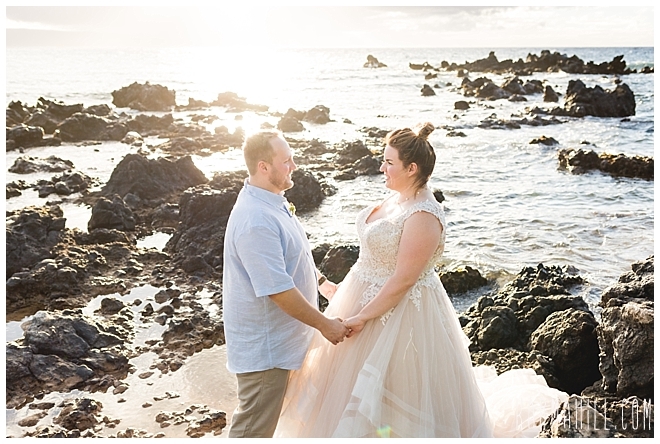 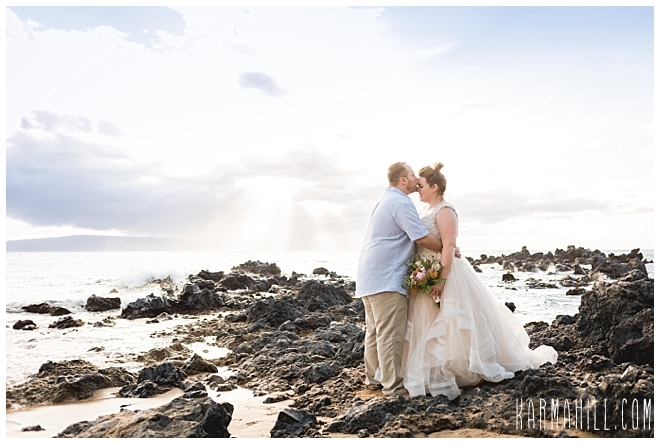 Thank you, Emma and Matthew, for letting Simple Maui Wedding be a part of this unique moment in your love story. 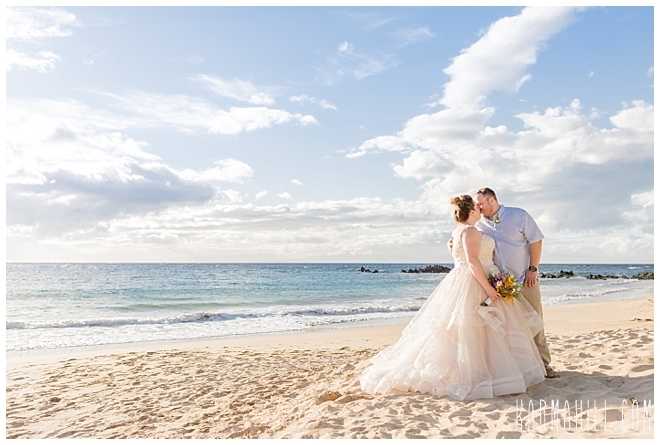 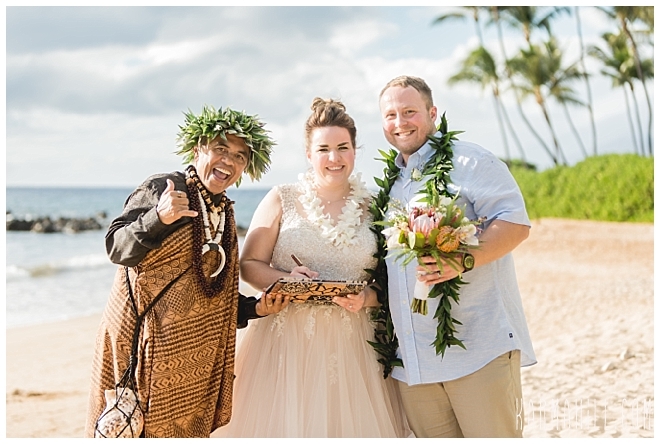 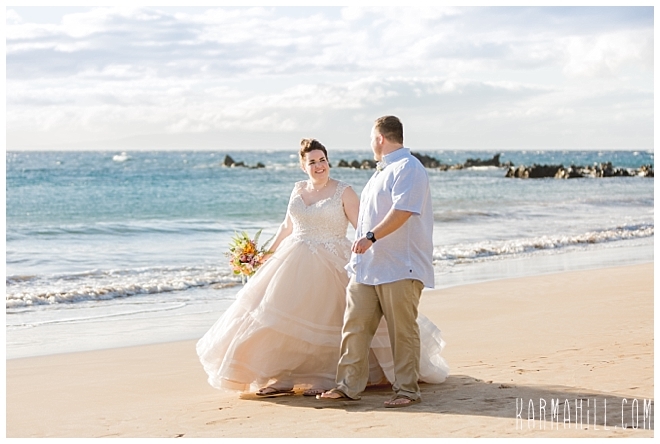 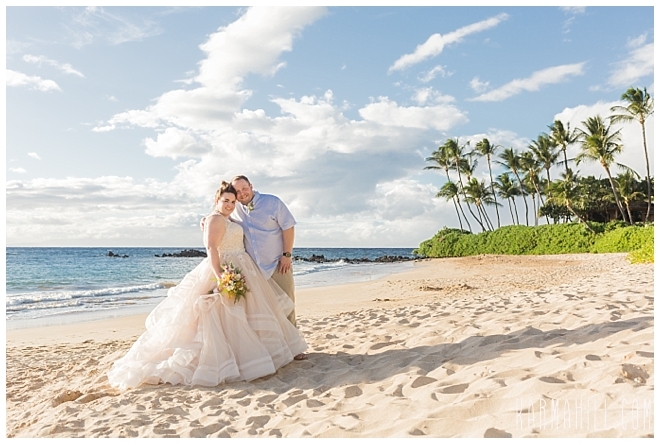 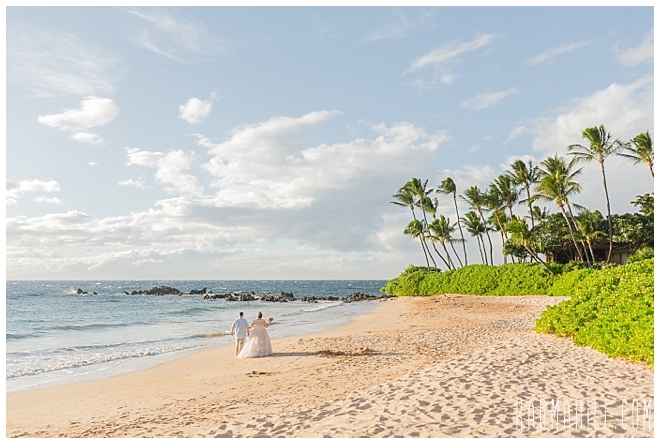 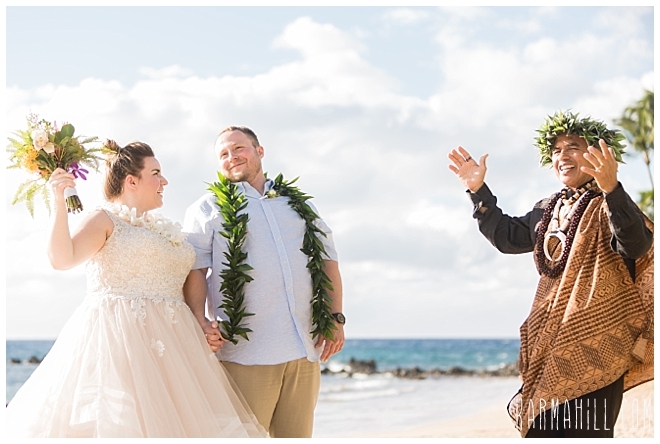 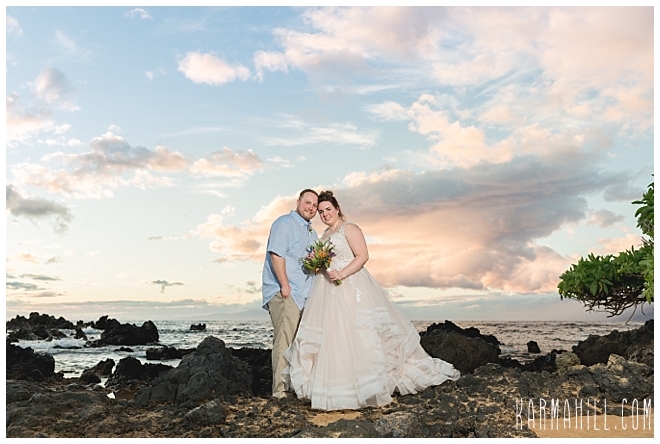 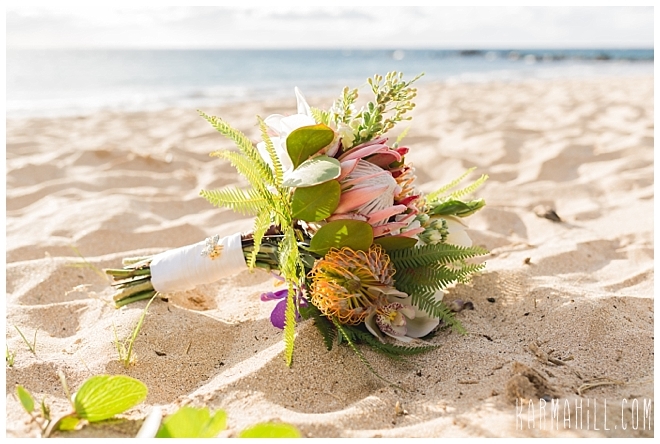 Check out our last Maui wedding with Veronica & Dean!